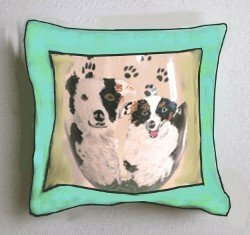 Clearly Susan's hand painted dog gifts in wine coolers with a portrait of your favorite dog, cat or any pet is a surprisingly unique gift for that animal lover that you can't think what to give. As a special touch we hand painted dog portraits on wine coolers with paw prints so that when you look inside of the cooler you can see them. 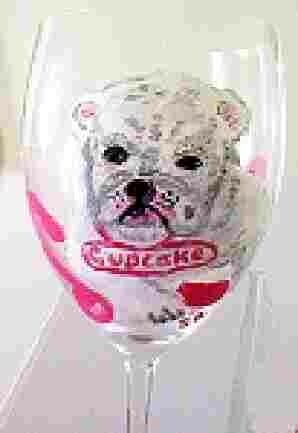 We hand paint any pet or animal on our wine coolers and hand painted pet wine glasses. 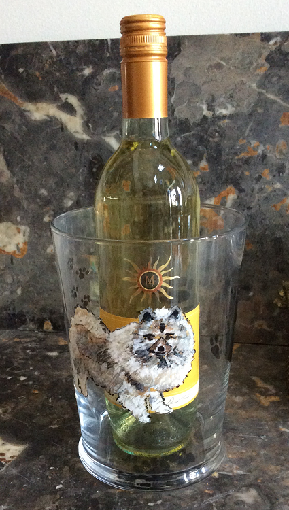 Thank you so much for this lovely hand painted wine cooler of my friend's dog. It was a great Christmas gift and I really appreciate it. 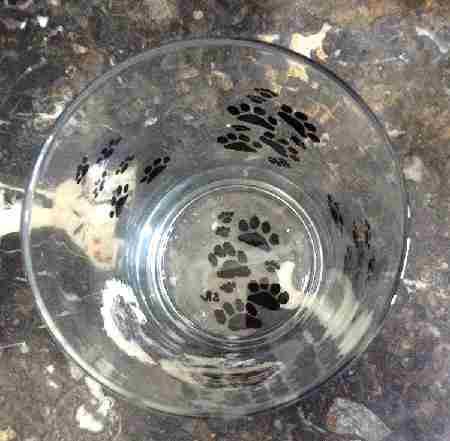 I love the way you put the paw prints in the inside.